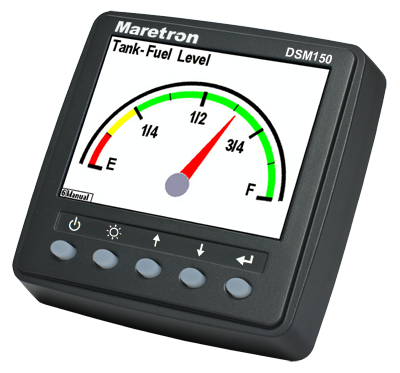 Maretron's products are designed to the open industry NMEA 2000 standard. Along with vessel-wide information sharing, NMEA 2000 features reduced wiring complexity via a single trunk cable, and more than 20 times the bandwidth of previous technology. Our Maretron NMEA 2000 network also seamlessly integrates a wide array of instrumentation electronics including desktop or laptop computer-based navigational software, GPS receivers, electronic compasses, and other navigational devices, and depth, speed, and wind transducers. Maretron offers a complete line of NMEA 2000 cable and connectors. The cable includes both power and network signals for reliable, waterproof interconnectivity of all your networked electronics. Maretron is leading the way by being the first company to offer NMEA 2000 approved cable and connectors. array of instrumentation electronics including desktop or laptop computer-based navigational software, GPS receivers, electronic compasses, and other navigational devices, and depth, speed, and wind transducers. Contact us today for a free consultation! All Maretron BNWAS Electrical Accessories - Marine Fuel Monitoring - Marine GPS - Marine Applications Integrated Instrument & Displays - Marine Meters NMEA 2000 Displays, Electronics & Cabling Transducers - Marine Voyage Data Recorder - Marine All Products Index in Alphabetical Order Maretron offers a complete line of NMEA 2000 cable and connectors. The cable includes both power and network signals for reliable, waterproof interconnectivity of all your networked electronics. Maretron is leading the way by being the first company to offer NMEA 2000 approved cable and connectors.